Did Du make your own character? 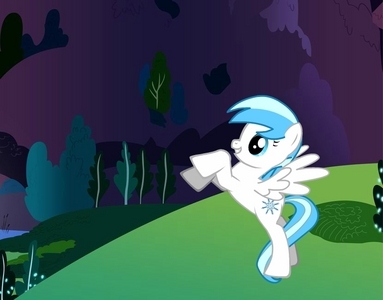 My pony's (a unicorn actually) cutie mark is a light blue lightning bolt, which is where the name Blue Bolt came from. Du should check him out! She's really loyal and a tomboy--like regenbogen Dash--but she always stops to listen and is always there for you. She can be really sensitive, but she knows how to have a good time and is really smart. 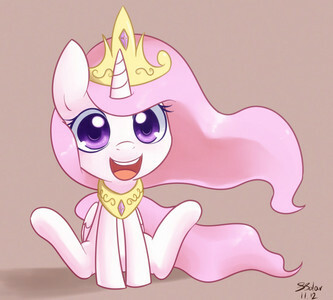 Her special talent is singing, and Princess Celestia liked her Singen so much that she gave her a horn. 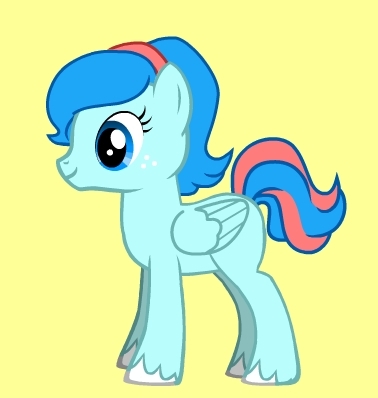 (She was originally just a pegasus pony.) Her name is Songsilver. 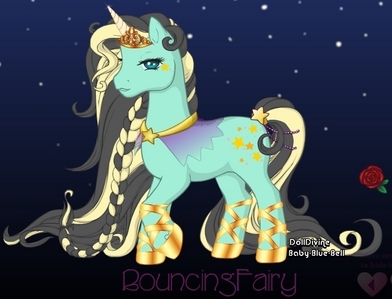 VERY nice use of the pony creator, she looks amazing. 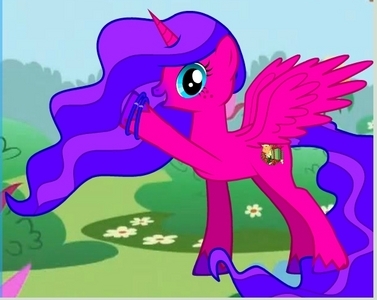 Despite this, I think having an alicorn for a ponysona is pretty friggin pompous. Yeah, I made one. His name is Shadow. 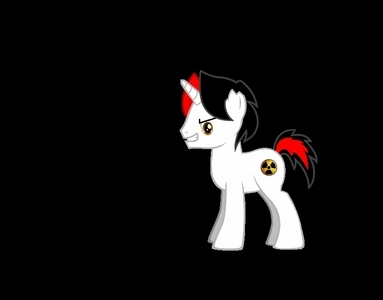 He's a unicorn pony who was the apprentice of a different unicorn pony who, unbeknownst to him, was trying to end Equestria. 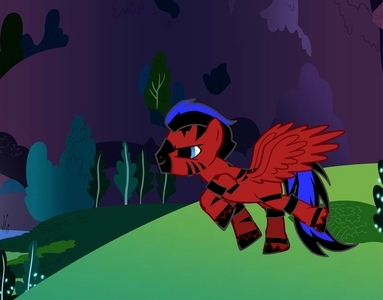 In the destroyed world of the future, he saves the lives of the Mane 6 Von using his special talent, traveling Von shadow, to catch a dragon off guard. In the past, he's on the world-ending Unicorn's side again, but slowly grows attached to the Mane 6, particularly Twilight, as he leads them around on attempts to get them killed Von robotic replicas of them. In the end, it's because of him that the Mane 6 are able to save Equestria from the disaster it had faced, and he ultimatly joins their little group as the only male pony. 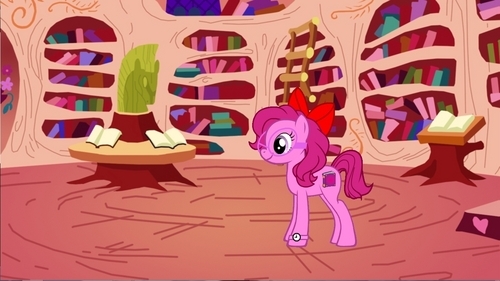 She's a sweet pony that loves to read Bücher and help out at the library. Her farsightedness is so bad that if she takes her glasses off she can't see for up to 30 yards. 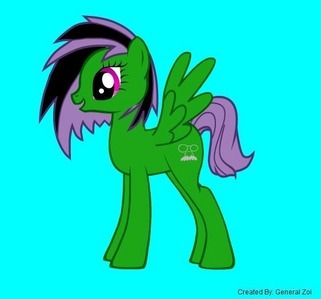 She is a beliebt pony to go to for Guter Rat and is always ready to lend a hoof to help out. his name is aerowing. he's a fast flyer, but he also has some musical talents. 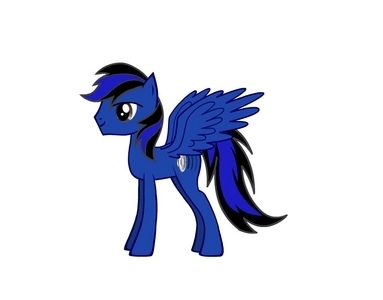 he's not a very outgoing pony, but he'll do anything when asked Von a friend. 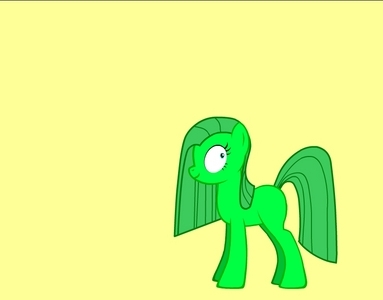 An Earth pony named Klippa Klop. 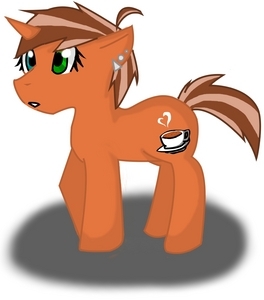 I'll get a link to a picture ASAP, and she's still in beta, so she dosen't have much of a personality yet. Err, sorry. 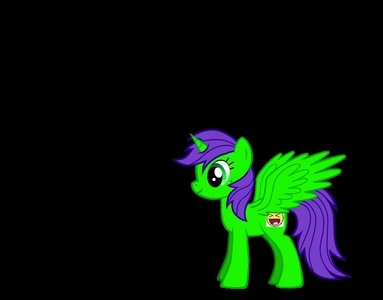 In the new pony Creator, there's a spot to Upload any image, which gets placed on your pony's flank...however, I couldn't get any picture to actually look good. 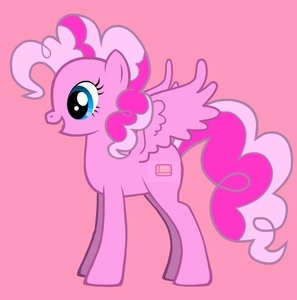 It would either overlap with the body outline oder wings oder kleidungsstück oder something, oder just look like an improperly-colored square with a picture inside, sitting inappropriately on the pony. 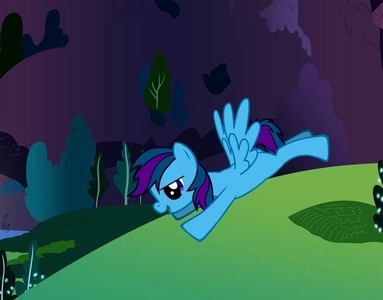 =/ So I just left mine as blank flanks, allowing all the other cool features to distract from the lack of cutie mark. 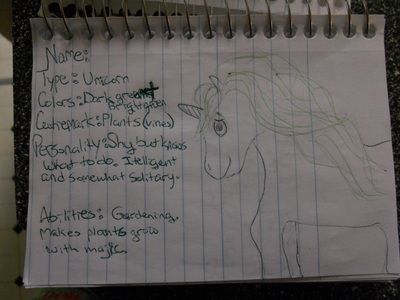 My pony's name is Aurora, and she is a nice, fun-loving pony. 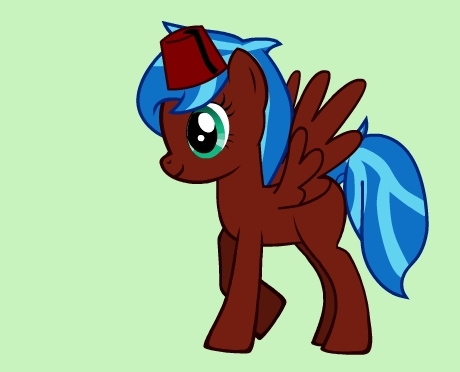 She loves putting together unique and slightly eccentric outfits for herself, but most often just wears a fez. Nopony's really asked her about it. 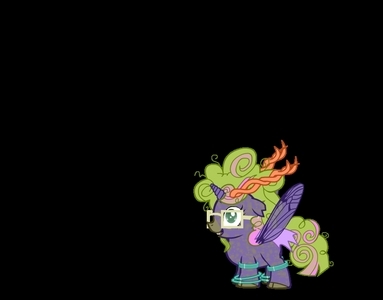 Her cutie mark would be a multicolored kreis to represent her odd yet original style. Made A character!? I've made TONS!! 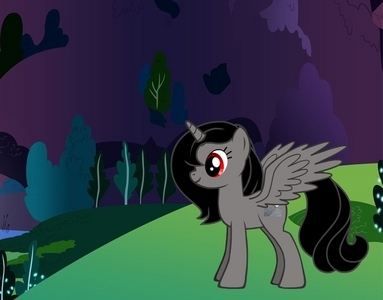 But Here is my Favorit one that I made: Her name is Shiny Wishes. 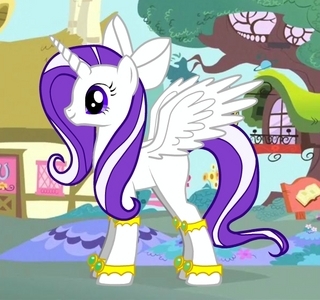 She is very generous and kind, and loves to make everypony look beautiful with lots of make up. 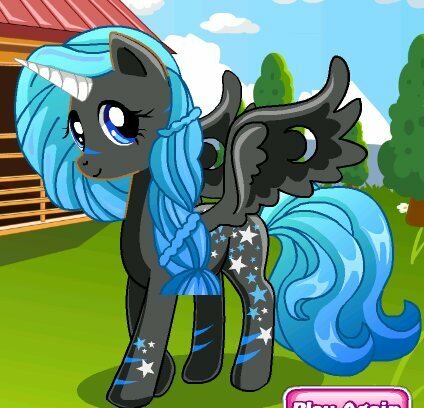 Yes, her name is Princess Constella, and she is princess Luna's duaghter, she is evil and was trapped in the moon for another thousand years after her mother got out, she secretely seeks revenge on the ponies but they don't know it, but she is starting to warm up to them. 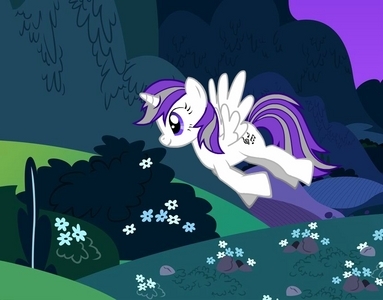 Her cutie mark is three stars connected Von a line invisible to the naked eye. I have quite a few, some ponysonas, some not. Here are some: rosa Lady, Energy Spike, Desert Rose, Word Whimsy, Quick Quill, Twinklestar, Silver Bell, Mermaid Song, Glitzy Glimmer... the Liste goes on. 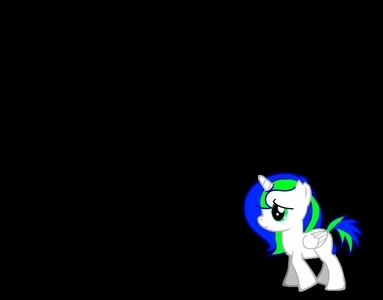 I'm a new MLP Fan and this is my character I made a few months ago(my main).Her name is ...well she has a few names..(around 3 /4)basically Mallowmood oder Moralmallow. I can't post the image but my charatcer is Paintboom WaterColor (Painty for short). 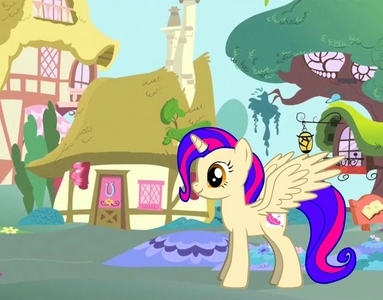 She's a pfirsich color alicorn with blond and blue hair and she has a bow in her tail. 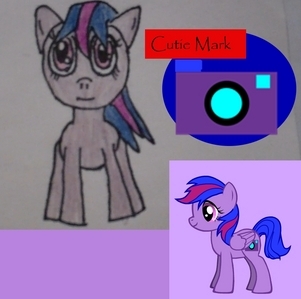 Her cutie mark is a herz shaped (paint holder whatever it's called) and a pencil on the right of it, and a paint brush to the left of it. 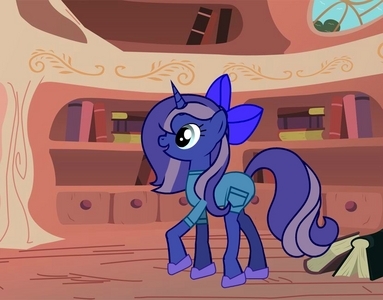 Her job in Equestria is to paint new ponies and bring them to life with her horn. 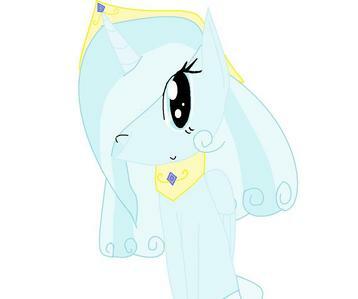 She is the princess of art, and has a connection with all the ponies, meaning she has the quality of all of them. 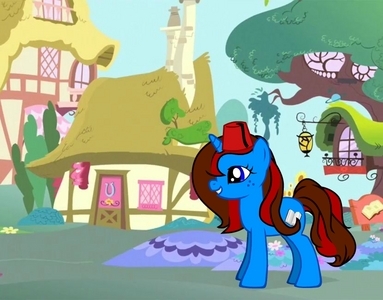 She can paint herself invisible, paint items for ponies, oder help other ponies with their activities! 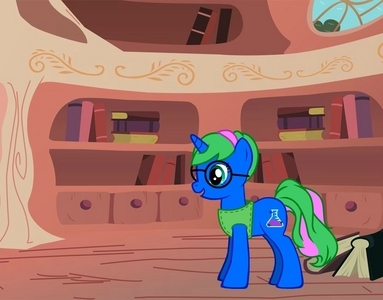 She does not often come to Ponyville, she lives in a house in Weltraum on a planet painted different colors. When she comes to Ponyville she tries to make as many Friends as she can and tries not too be self centered! Her qualities are kind, quiet, loyal, honest, caring, funny, moody and 20% kühler (As RainbowDash says)- all at once. Yes, I got really creative with this one but it is supposed to be like me. Yes, I have! 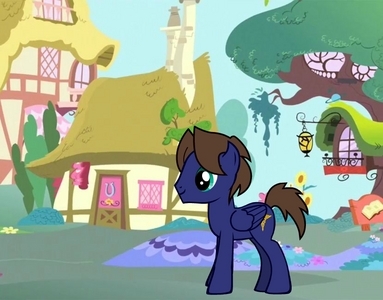 I intended to make him taller, but I tried my hand at imagining myself as the pony I'm creating. Here's what came up! 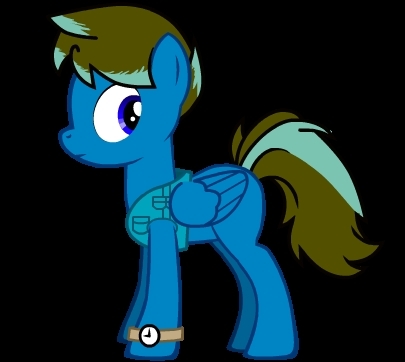 His name is Blue Bolt, otherwise myself as a pony! He wears glasses, is very kind but assertive, somewhat shy, likes video games, and is very competitive. He hates losing, and has a crush on applejack (I'm sorry if that one was too much). 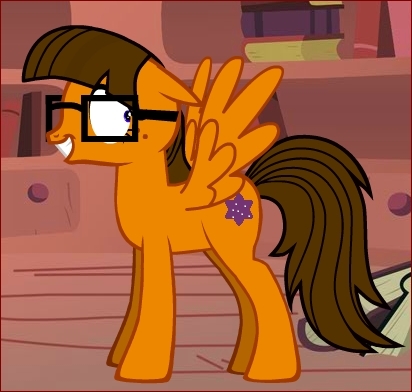 He also enjoys hanging out with the mane 6, helping them out in any way he can. 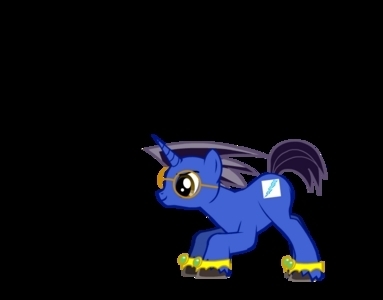 He got his cutie mark for being one of the quickest runners in Ponyville. Of course, that puts him on a crash course with regenbogen Dash. applejack became Friends with him during their first hangout, then he falls in Liebe with her. Isn't that cute? I have made a new one over time. He's a lot Mehr detailed, and is Mehr like me. 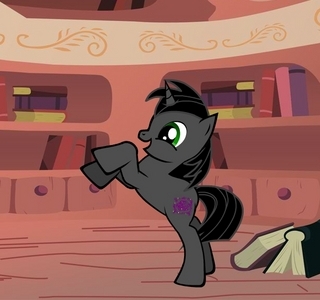 He's an artist, but his cutie mark's a pencil. 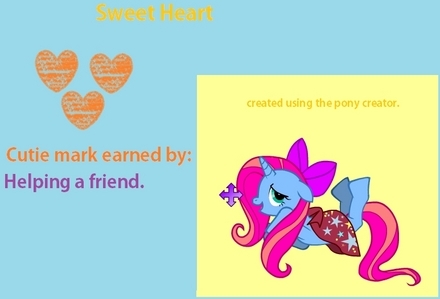 She is a Orphan but Twighlight keeps her thare and lets her sleep in the spar bed.She is 8.She dose not have a cutie mark but remebers her mother.Her mother gave her a bow of pure silk.Her Weiter B-day is on July 30.YAY! 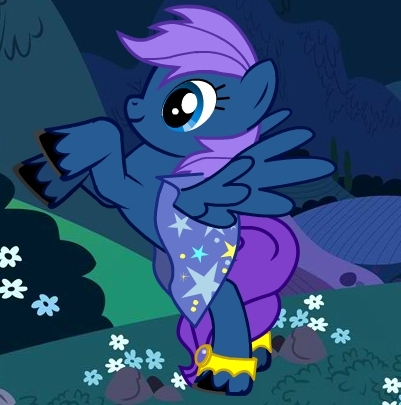 this is going to be Fan fiction pony. his name is medic oder short nick name med. 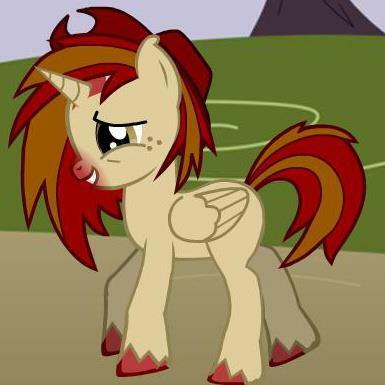 He severed 2 years in the royal guard as a medical pony. 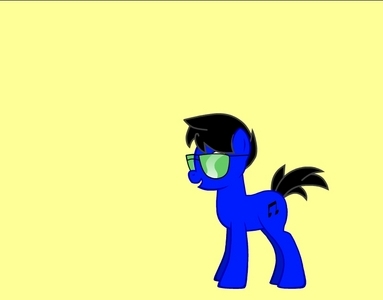 My pony's name is D.J. and is extremely shy. 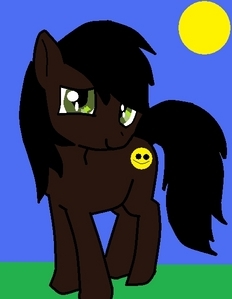 D.J dose not have a cutie mark yet and is an orphan. 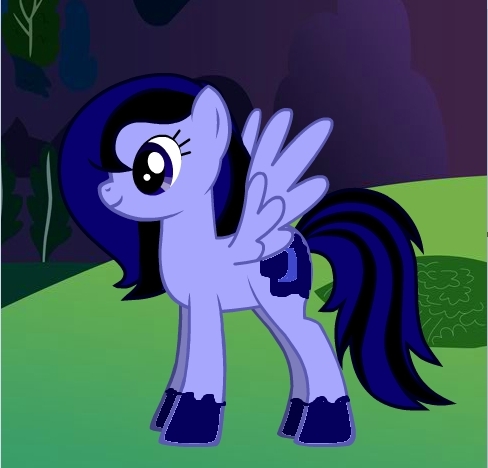 She is an orphan because when Discord attacked he destroyed her Home and killed her family. D.J. 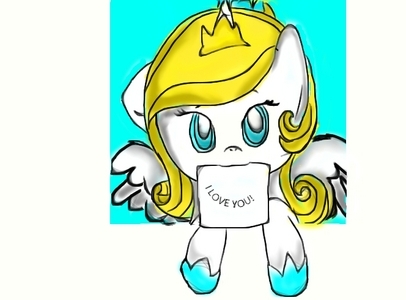 is moving to ponyville to hopefully find a better life and maybe a family. 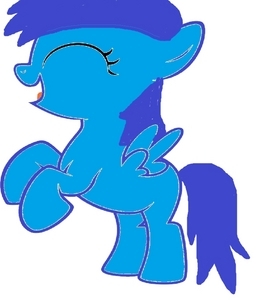 Her name is blaubeere, heidelbeere she's a filly and she loves blueberries nothing else but strawberries. 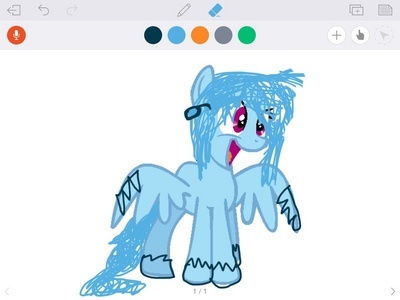 Mine is an alicorn, has a blue mane and tail, has black pelz with dark blue lines above its hoofs and nose, has stars on it an d has wings which has moon shaped holes though it.